Beauty and mechanics are the main focus in Palram’ s latest hobby greenhouse. Welcome the Bella, an elegant and stout addition to your growing space designed for extending your season. A healthy head-start on your garden begins with effective light management through Palram’ s market leading twin-wall polycarbonate. Twin-wall polycarbonate is the leading choice for quality hobby greenhouse coverings because of its durability, light diffusing properties and heat retaining ability. The twin-wall roof and side panels on the Bella block 99.9% of harmful solar UV radiation and create a system of even-light. Even-light helps maximizes plant growth and eliminates the risk of plant burn and shade areas. Palram’ s version of this virtually unbreakable polymer is made only with virgin materials that won’t become brittle or discolor over time. The bell shaped aluminum frame not only adds an elegant look to your backyard, it helps reduces wind impact and snow build-up. 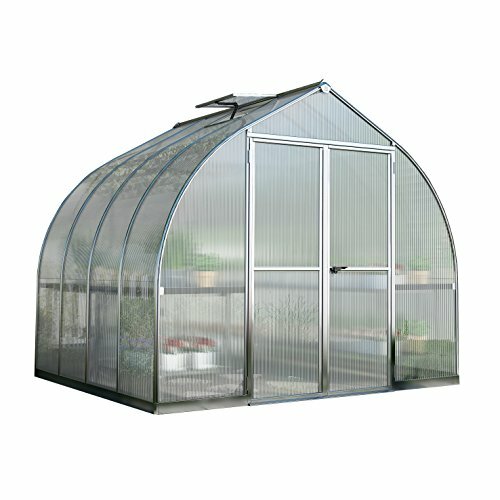 With an 8′ wide frame and four available lengths, you are able to customize the perfect hobby greenhouse. Corrosion resistant and durable, keep your focus on growing and not maintaining. A 5 year limited warranty and US based customer support will give you peace of mind. 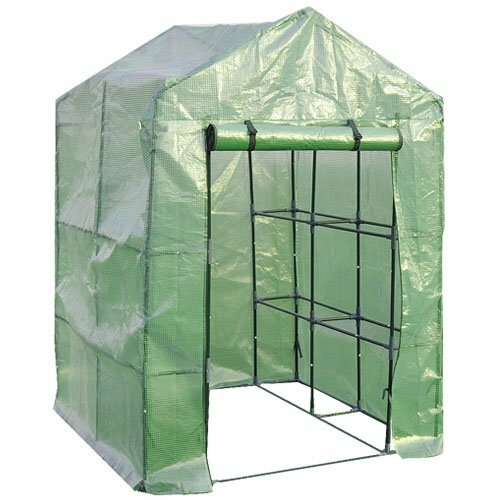 Palram also offers a complete line of accessories to make your Bella greenhouse the perfect fit for your growing wants and needs.